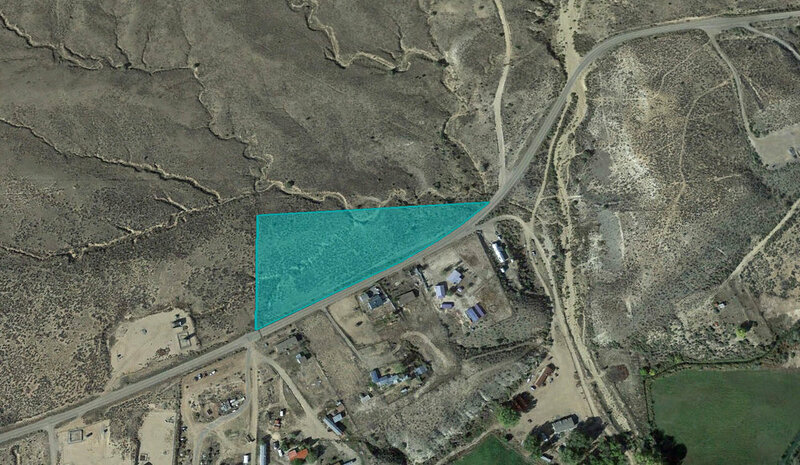 Located only five minutes north of the Navajo Dam in the Todosio Canyon region, this nearly five acre lot will put you in easy driving distance of all the great boating, fishing and water sports available at the nearby Marina. Situated at the end of a well-maintained dirt road on the edge of the canyon, this parcel is perfect for anyone looking for a spot to build their summer cabin or vacation getaway. Another nice thing about this land is its proximity to all the other great outdoor recreation activities offered in the nearby counties. If you ever get tired of taking your boat or jet ski to the marina, you can drive east to adjacent Rio Arriba County and explore the El Vado, Heron and Abiquiu Lakes. This lake side property doesn't have to be seasonal and enjoyed only in the summer months, however. 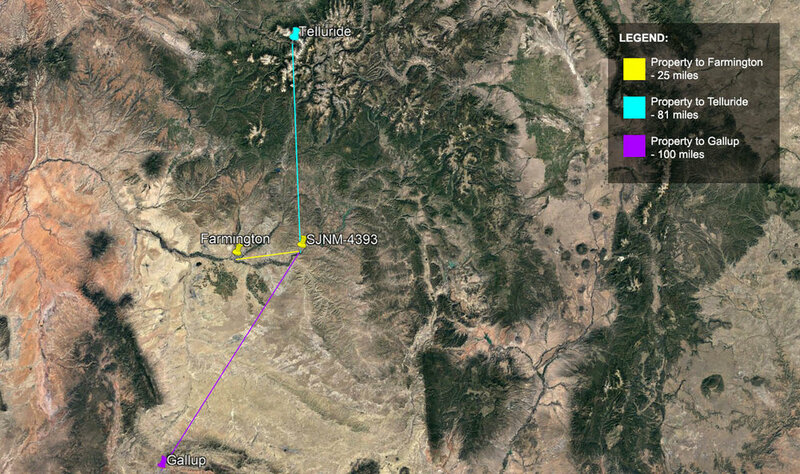 In the winter you can take advantage of the world famous Taos Ski Valley which is less than two hours to your east or Telluride, which is just across the Colorado border and less than an hour and a half to your north. Best of all is that this property sits in one of the unincorporated areas of the county, meaning there are no Planning & Zoning restrictions and the indiscriminate parking of and living out of an RV is perfectly legal. This property is the last piece of privately owned land on this part of Todosio Canyon and backs up to hundreds of acres of BLM property, making it ideal for exploration. Similarly, because it is situated close to the cliffs, whoever purchases this will have beautiful, unobstructed views of the Pine River below. Like much of the land situated close to the canyons around the marina, a portion of this property is comprised of a rocky terrain. Some may enjoy this dynamic topography and unique look. For others, however, this may pose a problem for whatever they plan to build or park on the land. And while there are flat, buildable sections of land (see photo gallery), anyone interested in purchasing this parcel is encouraged to scout the property beforehand. As there are no planning & zoning laws in this part of the county, this property is ideal for those looking to experiment with alternative or off grid housing such as a tiny home, container home, earth ship home, or for those who just want to live out of their RV. One of the neighboring property owners has erected some makeshift gate roughly 500 feet from the property boundary. The gate itself seems abandoned and our photographer had no problem accessing the property either time he scouted it. All this being said, we're doing our best to find out who owns this gate and to negotiate access from them. The nearest power lines end roughly a mile away from the property along the access road. Solar may be a good and affordable alternative or you may want to contact the local power company to see what it would cost to have the lines extended out to this specific parcel. 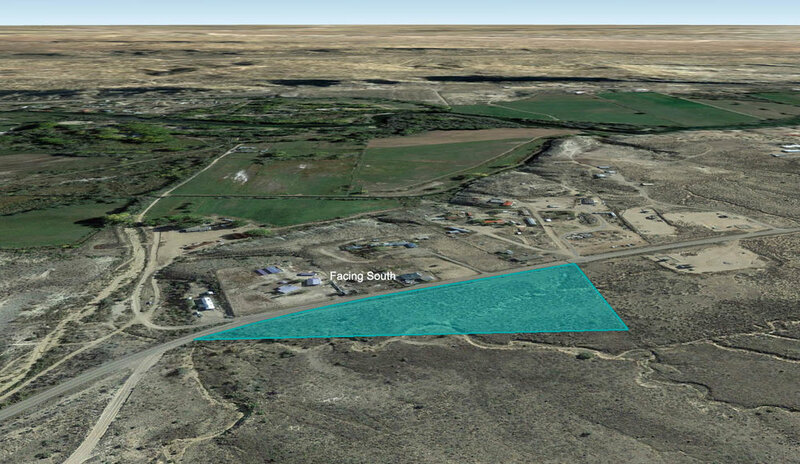 Priced at $13,500 this is the cheapest five acre lot in San Juan County either on the MLS or the internet and is second only to our other 4.76 acre lot in the region. The next lowest like-type property after that is listed for $20,000, making this the type of incredible savings we pride ourselves on here at Hemingway Land. This property was closed on and its title insured through San Juan Title. NOTE: We are requesting an upfront Non-Refundable Earnest Money Deposit of $1,000. This is not an installment sale and there is no financing offered. This is a cash transaction. After we have your Deposit we will contact you about how to proceed with finalizing the purchase, whether it be by credit card, wire transfer or title & escrow. If you elect to close through escrow, buyer will be responsible for all closing costs. Find out about our newest deals before they’re posted here. Join our VIP Buyer’s List today! Like the property but not the price? Call us today to discuss the possibility of a Terms Sale (Down Payment + Installment Payments). Disclaimer: While The Hemingway Land Company does extensive research on all our properties prior to listing them, there are always County-specific rules/regulations we will not be aware of. The information provided on this page is, to the best of our knowledge, correct. All prospective buyers, however, are encouraged to contact the county at the links and numbers provided in this table to confirm that whatever plans that buyer has for the property in question are in fact legal, feasible and permitted. Due diligence is the buyer’s responsibility and all sales are final.